Buckingham Foldeasy Toilet Surround- Folding. 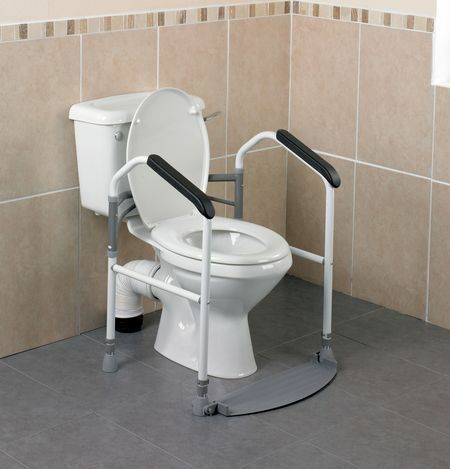 The new Foldeasy Toilet Surround is a fully folding and adjustable toilet frame. The frame folds in on itself easily in seconds to making it ideal for portability and storage. 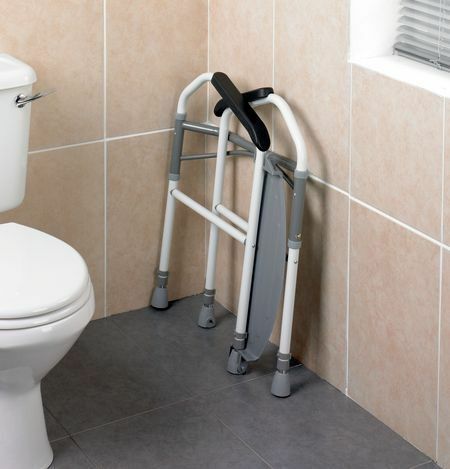 Additionally, the frame features folding footplates which act as a counterweight when the user stands on them to give good stability. Fitted with armrests to aid the user to sit and stand with greater ease and comfort. I wanted a surround that could be folded away for when not in use, perfect ! Very fast hassle free delivery.